Bravecto is used to kill adult fleas and is indicated for the treatment and prevention of flea infestations and the treatment and control of tick infestations. Bravecto is also indicated for the treatment and control of lone star tick infestations. Safe for dogs weighing at least 4.4lbs and for puppies aged 6 months and older. Bravecto kills adult fleas and is indicated for the treatment and prevention of flea infestations (Ctenocephalides felis) and the treatment and control of tick infestations [Ixodes scapularis (black-legged tick), Dermacentor variablis (American dog tick), and Rhipicephalus sanguineus (brown dog tick)] for 12 weeks in dogs and puppies 6 months of age and older, and weighing 4.4 pounds or greater. Bravecto is also indicated for the treatment and control of Amblyomma American (lone star tick) infestations for 8 weeks in dogs and puppies 6 months of age and older, and weighing 4.4 pounds or greater. Active Ingredients: Bravecto contains fluralaner. Fluralaner is for systemic use and belongs to the class of isoxazoline-substituted benzamide derivatives. Fluralaner is an inhibitor of the arthropod nervous system. The mode of action of fluralaner is antagonism of the ligand-gated chloride channels (gamma-aminobutyric acid (GABA)-receptor and glutamate-receptor). Bravecto should be administered orally as a single dose every 12 weeks according to the Dosage Schedule below to provide a minimum dose of 11.4 mg/lb (25 mg/kg) body weight. Bravecto may be administered every 8 weeks in case of potential exposure to Amblyomma americanum ticks (See EFFECTIVENESS). Bravecto should be administered with food. View Bravecto Drug Facts Sheet. Treatment with Bravecto may begin at any time of the year and can continue year round without interruption. Contraindications: There are no known contraindications for the use of the product. Warnings: Not for human use. Keep this and all drugs out of the reach of children. Keep the product in the original packaging until use, in order to prevent children from getting direct access to the product. Do not eat, drink or smoke while handling the product. Wash hands thoroughly with soap and water immediately after use of the product. Precautions: Bravecto has not been shown to be effective for 12-weeks duration in puppies less than 6 months of age. Bravecto is not effective against Amblyomma americanum ticks beyond 8 weeks after dosing (See EFFECTIVENESS). I live in a high-tick area. During the fall & winter months, my Vet recommends that I use both a topical flea/tick application (such as Frontline Plus) along with the Bravecto. If I just use one of these, my pug will get tick bites all over. The Frontline medication will kill the tick so they don't become embedded, but the tick will still be able to bite him. He is very allergic to the bites and gets huge welts. Using both medications prevents the bites. I was concerned of using both on such a small animal (he's 14-lbs) but he has had no adverse reactions. Never liked using the liquid products to place on my dogs skin for flea & tick protection then I found bravecto - a pill they eat like a treat which protects them for 90days....can't get any easier than th as t! ProsEase of dosing . . My dogs enjoyed the treat. ConsExpensive compared to monthly skin applications however with discounts and specials offered by Entirely Pets the price is comparable and bearable. Convenient to only give every 3 months. Have uaes thia product 3X for our 2 German Shepherds. Seems to work really well! We had been using 2 other products- back and forth, month to month. Still having fleas and we don't even have any grass around our house. Bravecto is different- works great, lasts three months and no disgusting greasy topicals. Yay! Merchant Response:Thank you for your Bravecto review Shoop. We are honored to have you as a customer. Take care! This company is has great customer service and fast shipping. Great product. Merchant Response:Tricia, glad to hear you like our service and Bravecto. We only hope to continue to improve our service. It's easy to give to my pet since it's chewable. Price is a bit high but it was recommended by my vet. Merchant Response:Bruna, we do what we can about pricing and keeping it as low as possible. You have a beautiful dog. Bravecto is the way to go! Topicals are messy and they also get on our leather furniture. Bravecto is once every 3 months. Easy and no mess. Our dog takes it like a treat! Florida is brutal on dogs due to fleas. He was on Frontline before moving here, now it Frontline does not do anything! This was recommended by my vet here too! ProsEasy, no mess. Once every 3 months. Great taste to dogs. We used to rotate between Pr***am and Ad*****ge, and still would have fleas occasionally. Fleas also love the climate here in California! Now, one Bravecto controls fleas and really lasts for 3 months. It works! ProsLasts! Really works! Love that it?s oral- don?t have to put it on their skin Dog just eats the chew- could not be any easier! Despite always keeping our dogs on flea meds, when we were using Ad*#***age and Pr****am, we would still get fleas. Blame Californiaâ€™s climate-fleas like it too! Now, one Bravecto lasts for 3 months, no fleas, and I love that it is taken orally rather than put on their skin. My really picky little dog does not love the taste, but she will eat it if encouraged. 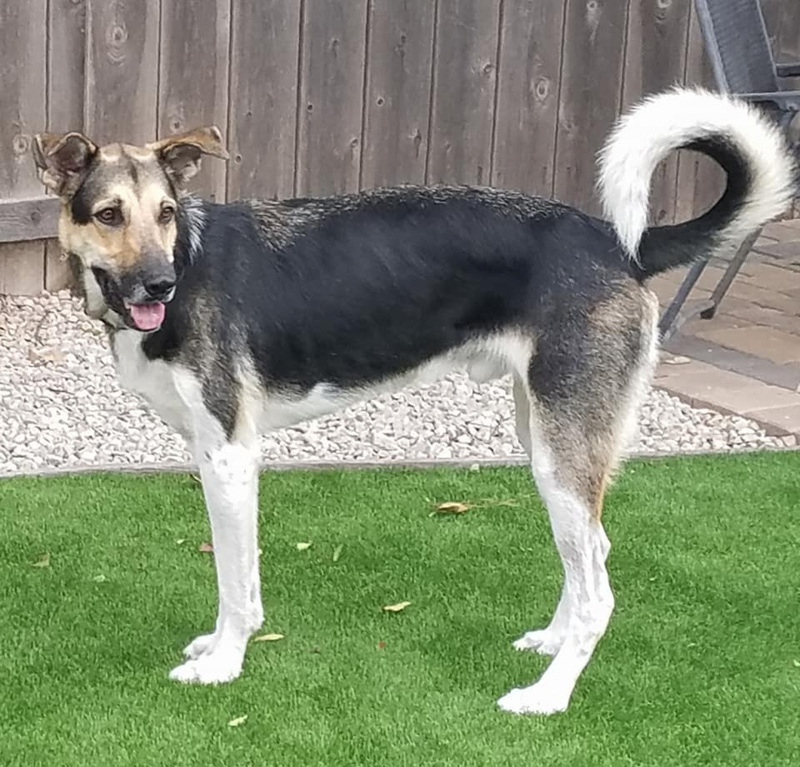 Merchant Response:In-spite of the taste, we thank you Shoop for your review and are glad you found something that works for your dog in California. Bravecto work for my dog. Prices are great! Entirely Pets has efficient service!! We started using bravecto about 3 years ago. Before that we were using NexGard monthly. The Next Guard just did not seem to do the job in the various places we were traveling. The bravecto however is definitely a superior product. If you live in the midwest, Northeast, or Northwest you only have to does once every 3 months. Even in most of the areas of the South this is sufficient. In Florida and Texas however the different variations of fleas and ticks in those warmer climates do require one dose every two months. The mosquitoes won't even bite her when she's on her Bravecto! This medication has worked for years on my dog. The ticks may attempt to attach to the dog but they soon die. Perfect for our dog as the kids can touch her as soon as he takes the med, unlike the normal liquid that is applied to the fur. This medication has worked for years on my dog. The ticks may attempt to attach to the dog but they soon die. Perfect for our dog as the kids can touch her as soon as she takes the med, unlike the normal liquid that is applied to the fur. My 6.5lb chihuahua eats the pill like a treat! Havent seen any fleas on him so guessing it works! BRAVECTO WORKS GREAT FOR MY 3 FUR BABIES! Since starting to give my 3 small dogs Bravecto, I have not seen a flea or tick on them. The only issue I have had was buying the 4 pack for my 3 dogs to save money. I get hassled by my vet since I am ordering 1 extra chew which I just save for the their next dose. They used to offer a 3 pack or a 6 pack which would work great for me (hint! hint!) other than that no complaints and the dogs eat them like they are a treat. Merchant Response:Hi Laura, thank you for your feed back and it's great to hear the Bravecto works so well for your dogs! 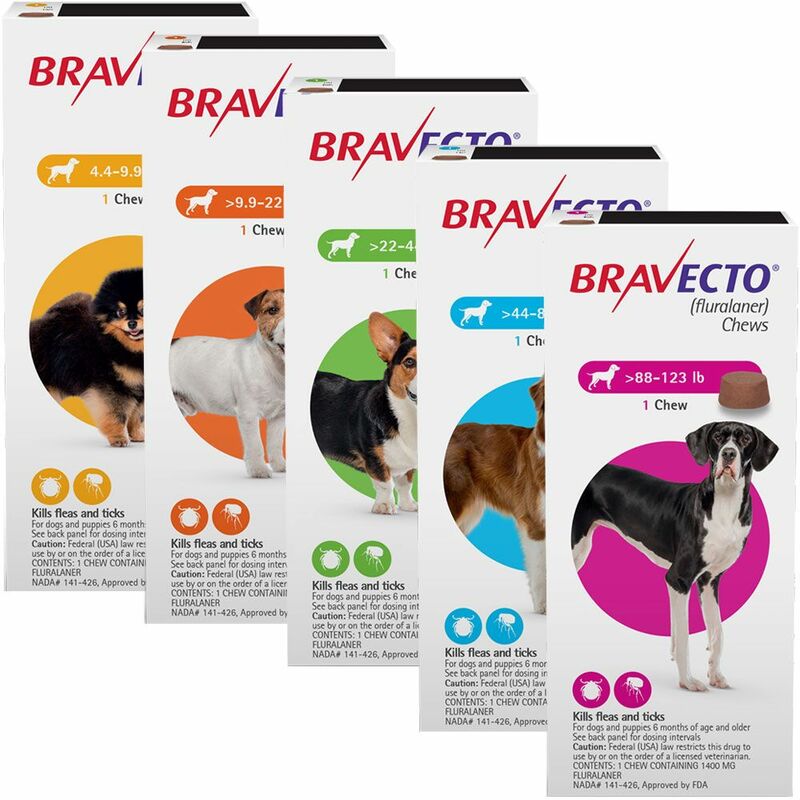 We now offer Bravecto in both a 2-pack (6 month supply for one dog) and a 4-pack (12 month supply for one dog)! Consneed to sell in more packs (3 or 6 packs) for me. have had trouble getting the script filled for 4 chews for 3 dogs. I love Bravecto for my little dog. It works well and no mess or worries about putting this on there skin. Great little chewable. ConsNo cons. The only problem I have with buying through the pharmacy is how they take the payment out twice , one is where money actually comes out. and the other is just pending no money taken out. But it always shows in my bank account as having less of a balance because of this. I might just shop somewhere else. They sell this product at many places that have a pharmacy. we have not noticed even one tick since giving this to our dog! this is terrific as it has been such a plentiful tick season. Merchant Response:Thank you for your feedback Sue and we're so happy to hear the Bravecto is keeping your dog tick-free and happy! I ordered 2 Bravecto for my dogs. They accepted the order, invoiced me for 2 but only sent me one. When I called they had me send a picture of everything included in the order and sent me another one. The invoice they show me says ordered 2 and shipped 2, then additional invoice showing shipped another one. They make me feel like I am lying and pulling a fast one and even though I got everything I don't like being treated like that. Very effective against fleas and ticks. Like that it lasts for 3 months. My dogs have exhibited no side affects. Ive given it to all my dogs.. I love being able to order my dogs products online and at much better prices that our vet. This item has kept my dog flea free and will continue to use Bravecto from now on. I have been using Bravecto with satisfaction for more than a year, for my two dogs (beagle and dachshund mix). However the ordering process with Entirely Pets was not up to par this time. I mailed them the original script from my vet and never heard anything about the status until I called them weeks later. It would be helpful to clients if Entirely Pets would send an email stating the prescription has been received and is being filled. That would avoid having to call about the status. Love this no negative reaction to the medicine.